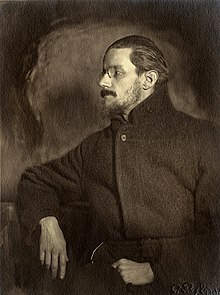 James Augustine Aloysius Joyce (2 February 1882 – 13 January 1941) was an Irish novelist, short-story writer and poet. [Robinson Crusoe] is the true prototype of the British colonist, as Friday (the trusty slave who arrives on an unlucky day) is the symbol of the subject races. The whole Anglo-Saxon spirit is in Crusoe: the manly independence; the unconscious cruelty; the persistence; the slow yet efficient intelligence; the sexual apathy; the practical, well-balanced religiousness; the calculating taciturnity. But toms will till. I know he well. the cluekey to a worldroom beyond the roomwhorld, for scarce one, or pathetically few of his dode canal sammenlivers cared seriously or for long to doubt with Kurt Iuld van Dijke (the gravitational pull perceived by certain fixed residents and the capture of uncertain comets chancedrifting through our system suggesting the authenticitatem of his aliquitudinis) he canonicity of his existence as a tesseract. Be still, O quick! Speak him dumb! Hush ye fronds of Ulma! (Stoop) if you are abcedminded, to this claybook, what curios of signs (please stoop), in this allaphbed! Can you rede (since We and Thou had it out already) its world? It is the same told of all. Many. Miscegenations on miscegenations. Tieckle. Wait till the honeying of the lune, love! Die eve, little eve, die! We see that wonder in your eye. We'll meet again, we'll part once more. The spot I'll seek if the hour you'll find. My chart shines high where the blue milk's upset. Well, you know or don't you kennet or haven't I told you every telling has a taling and that's the he and the she of it. Look, look, the dusk is growing! Quoint a quincidence! O.K. Omnius Kollidimus. As Ollover Krumwall sayed when he slepped ueber his grannyamother. Kangaroose feathers. Who in the name of thunder'd ever belevin you were that bolt? A Place for Everything and Everything in its Place, Is the Pen Mightier than the Sword? A Successful Career in the Civil Service. Imagine my glimpses at that clock as the gropings of a spiritual eye which seeks to adjust its vision to an exact focus. The moment the focus is reached the object is epiphanised. It is just in this epiphany that I find the third, the supreme quality of beauty. … No esthetic theory, pursued Stephen relentlessly, is of any value which investigates with the aid of the lantern of tradition. What we symbolise in black the Chinaman may symbolise in yellow: each has his own tradition. Greek beauty laughs at Coptic beauty and the American Indian derides them both. It is almost impossible to reconcile all tradition whereas it is by no means impossible to find the justification of every form of beauty which has ever been adored on the earth by an examination into the mechanism of esthetic apprehension whether it be dressed in red, white, yellow or black. We have no reason for thinking that the Chinaman has a different system of digestion from that which we have though our diets are quite dissimilar. The apprehensive faculty must be scrutinised in action. 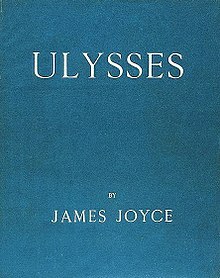 And Joyce was a poor sick fucker who probably died with his balls somewhere up around his navel. None of that for me, thanks. Hunter S. Thompson, in a letter to Lionel Olay (16 February 1962), published in The Proud Highway, p. 320.